CapitaLand’s 2Q18 and 1H18 results were slightly below our expectations. Higher handover of China residential units in 2Q; it will time the pace of its new launches to market conditions. Purchase of Pearl Bank Apartment enbloc site boosts Singapore residential inventory. Adopting a 50/50 emerging/developed market capital allocation. Maintain ADD and S$3.55 Target Price. 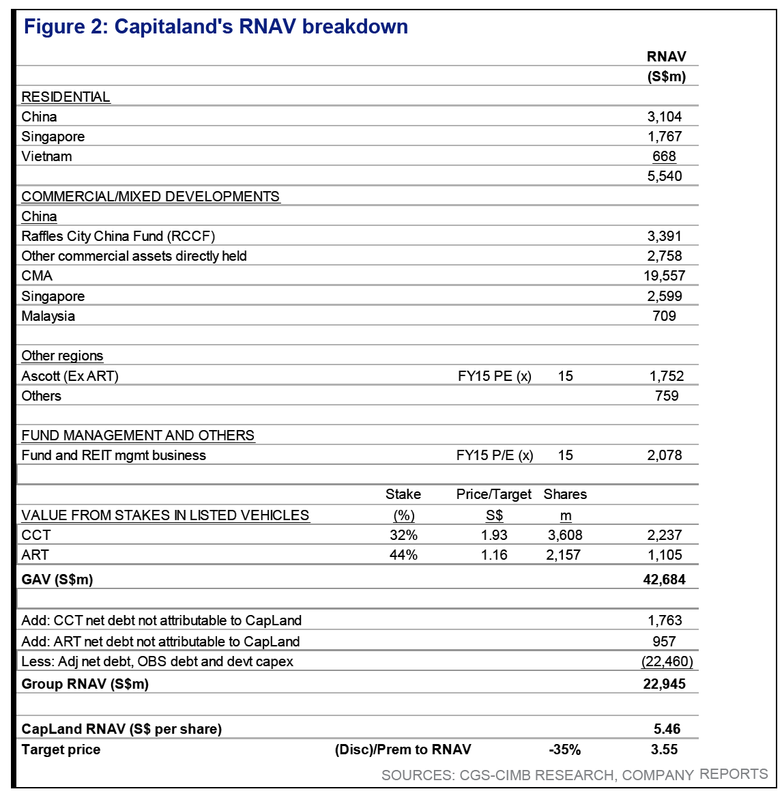 CapitaLand reported 2Q18 PATMI of $605.5m, up 4.4% y-o-y, on a 35% y-o-y jump in revenue to S$1.34bn. Stripping out fair value and divestment gain, operating PATMI would have been 5.6% lower at S$196m. CapitaLand’s 2Q/1H results were slightly below our expectations, at 18%/38% of our full-year forecasts. The underperformance came largely from higher-than-expected effective tax rate due to a higher proportion of China profits and provision of S$6.9m taxes for prior years. In China, CapitaLand handed over 1,486 residential units in 2Q, valued at Rmb2.2bn. During the quarter, it also locked in additional sale of 746 units, valued at Rmb3.2bn. It has c.8,000 units (Rmb16.2bn) of locked-in unbilled presales at end-2Q, of which half is to be handed over in the next six months. CapitaLand has a further 4,000 launch-ready units to be released in 2H but plans to time the launches according to market conditions. Its malls portfolio showed better performance in 2Q, with income from newly opened and acquired malls. Meanwhile, same-store tenant sales rose 5.3-12.3% y-o-y in 1H18. In addition, CapitaLand has secured three new third-party management contracts in China and Cambodia in 1H18. In Singapore, it sold 37 residential units valued at S$37m in 2Q, bringing total sales in 1H to S$77m. It has obtained Strata Titles Board (STB) sale order for the Pearl Bank Apartments en-bloc site. This transaction is slated to completed in 4Q18 and launch-ready by mid-2019. This should augment its depleted Singapore residential inventory level, which stands at c.33 units, largely from Marine Blue and Sky Habitat and d’Leedon. In Vietnam, CapitaLand handed over 465 residences valued at S$77m in 2Q. It has locked-in sales of S$811m (2680 units), including 524 units worth S$186m in 2Q18. Of the total locked-in sale amount, c.30% is scheduled to be handed over in 2H18. The group has secured a 1ha site in Hanoi for future development. 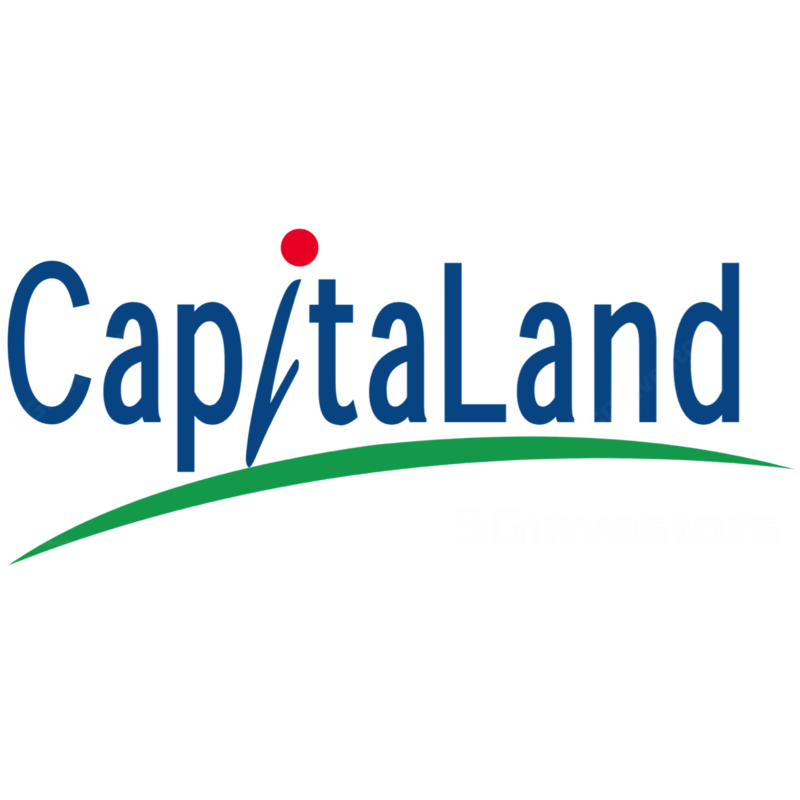 CapitaLand has exceeded its target to recycle S$3bn worth of assets this year and redeployed capacity into S$1.8bn worth of new investments. It aims to achieve a 50/50 emerging/developed market asset allocation (vs. 43%/57% at end-2Q) and allocate 20- 30% of its assets to trading properties (vs. 18% at present). This should provide the group with a strong recurrent earnings base and growth potential. We leave our FY18-20 earnings estimates unchanged and maintain our RNAV of S$5.46. Our Target Price of S$3.55 is based on a 35% discount to RNAV. Given its strong balance sheet with a net debt to equity ratio of 0.5x and gross cash balance of S$5.3bn at end-2Q, the group has significant headroom to grow its asset under management (AUM). Potential re-rating catalysts include faster-than-expected pace of asset reinvestment while downside risks to our call include slower-than-anticipated pace of capital deployment.